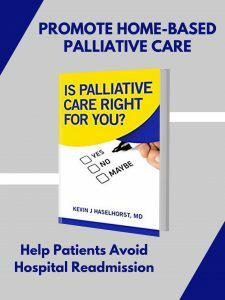 Original Medicare covers medically necessary services, preventative care, and some elements of palliative care. Part A of Medicare also takes care of many end-of-life expenses, including hospital visits and hospice care. On top of covering the same things as original Medicare, supplemental Medicare Advantage plans, such as those offered through Humana, can help seniors deal with expenses associated with prescriptions, dental care, and vision care. Patients can also apply for Medicare prescription drug coverage or Medicare Supplement Insurance (Medigap) to cover medical expenses. While Medicare is invaluable for many seniors, it provides little coverage when it comes to assisted living or nursing home care. Medicare helps pay for up to 100 days of skilled nursing care or rehabilitation services following a three-day inpatient hospital stay, but it does not cover costs of long-term services and support such as assisted living facilities, adult day care, and nursing home care. Yet, the AARP states that, on average, 52 percent of people who turn 65 today will develop a disability that will require long-term services and support at some during their later years. So how will they pay for it? Long-term care insurance is a premeditated policy that ensures seniors have adequate funds for covering long-term care costs should they need them. The sooner a long-term care insurance policy is purchased, the more affordable it will be. Premiums for long-term care policies average about $2,400 a year, but this insurance can finance hundreds of thousands of dollars worth of care should you need it. People typically buy life insurance policies when they start a family as a way to ensure their dependents are cared for in the case of their death. 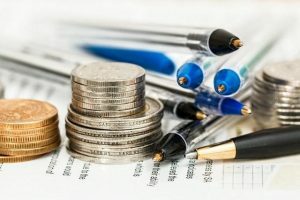 If they still have that life insurance policy as they approach their later years, it can be sold as a way to free up cash for retirement or possible long-term care needs. However, selling a life insurance policy isn’t always a great choice. For one, you won’t get face value on your policy, so selling only makes sense if you’ll be making a significant amount more than you’ve already invested. It may make more sense to amend your current life insurance policy to include a rider that can pay up to 50 percent of your death benefits should you need long-term care. A health savings account (HSA) is a great way to save money for future medical needs tax-free. Owners of HSAs can contribute thousands of dollars annually as long as they do not exceed government-mandated maximums set in place. An HSA balance rolls over from year to year, so owners never have to worry about losing savings. Whenever you need funds for medical expenses, including long-term care needs, you can make a withdrawal penalty free. Medicare is a federal insurance program that helps Americans over 65 cover the ever-growing costs of health care. While Medicare pays for things like hospital stays and preventative care, it does not help with many of the expenses associated with long-term care. That’s why it is so important for retirees to come up with a plan should they need to be admitted into a nursing home or assisted living facility. Long-term care insurance is made especially for this, but it can be very expensive. If the patient owns a life insurance policy, they can sell it for a lump sum of cash. However, it will only be a percentage of the policy’s total value. Finally, regular contributions to a health savings account can build equity and cover costs without tax penalties if used on approved expenses.